Seller sold this as faulty saying game suffered from graphics glitches. 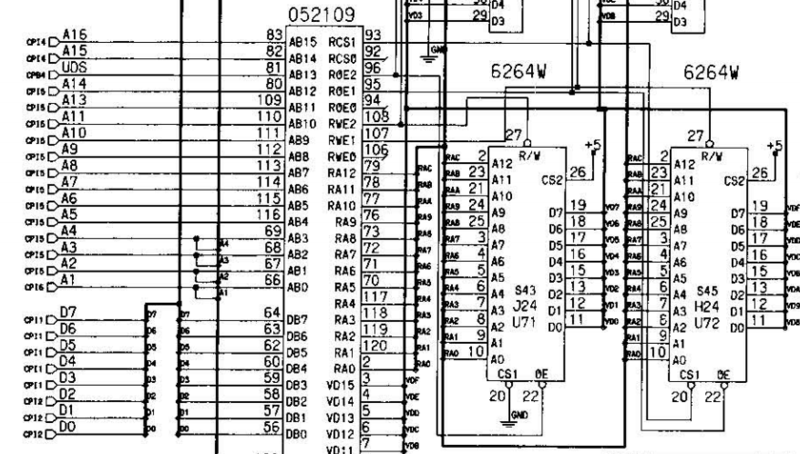 I immediately thought it was something related to tilemap generation since part of screen was doubled and drawn in wrong place while sprites were good.So, I started to check this part of circuit.This hardware, like many other from Konami, use some ASICs in QFP package to generate parts of graphics.This PCB uses two of them to create the tilemaps, they are marked ‘052109’ and ‘051962’ and always used in pair.Checking them I found a couple of lifted pins on the one marked ‘052109’, I reflowed them but issue was still present. 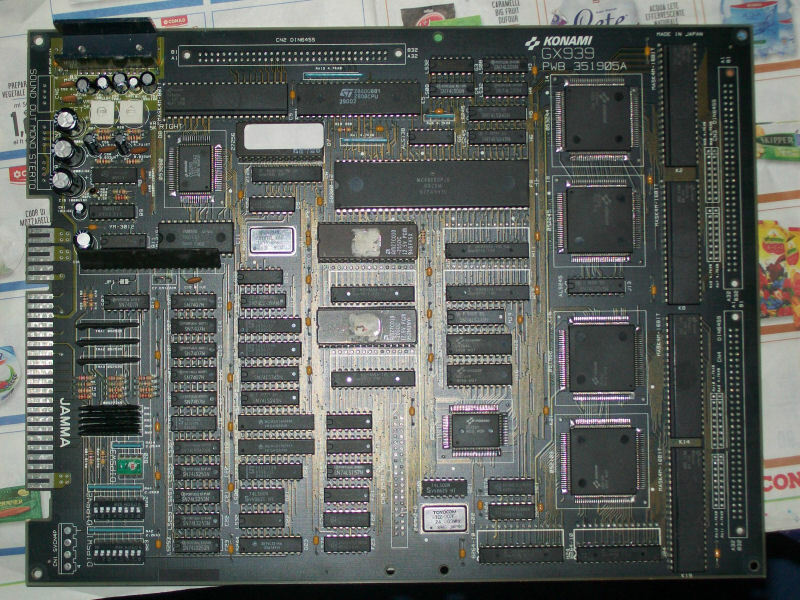 So I started to think about : technically speaking, an ASIC behaviours like a CPU, so in this case it takes datas from graphics ROMs and stores them in RAMs.When it wants to read these stored datas, it addresses the RAMs. What can I add more?End of job!